The life of Countess Elizabeth Bathory- the historical noblewoman accused of bathing in young girl’s blood so she could live forever young becomes a supernatural tale both creepy and creepily funny in the hands of the playwright of “Kittens in a Cage” & “The Underneath”. Kelleen Conway Blanchard lends her unique voice to the story of Elizabeth Bathory, the Hungarian Countess fabled to be one of the inspirations behind vampire lore. Bathory is rumored to have killed anywhere from 60 to 600 young woman and bathed in their blood to preserve her youth. This fictional account follows the countess from her happy marriage to the fierce warrior Ferenc to her conviction and death bricked up within the walls of her castle. Along the way it explores her possible motivations for the sadistic murders of which she stands accused. Landing solidly on the dark side of dark comedy, Blood Countess still employs plenty of Kelleen Conway Blanchard’s trademark humor and linguistic gymnastics. This historical horror story is filled with dead birds, headless soldiers, eel pies, and pailfulls of blood. 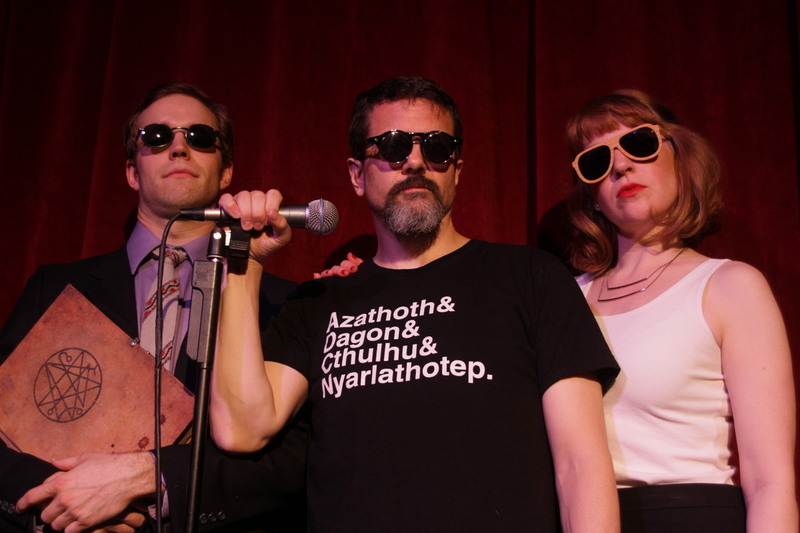 Blood Countess is directed by Bret Fetzer, and features original songs by Rick Miller, reuniting the team behind Gregory-nominated hit Kittens in a Cage. Terri Weagant makes her Annex debut as Elizabeth. Weagant has appeared on stages big and small from Seattle Shakespeare Company and Book-It Repertory Theatre, to Theater Shmeater and upstart crow collective. Supporting Weagant is a group of wonderful local talent including Gregory-nominated Mary Murfin Bayley, Blanchard veterans James Weidman and Erin Stewart, and retuning Annex actors Ashlen Hodge, Martyn G Krouse and Sarah Winsor.